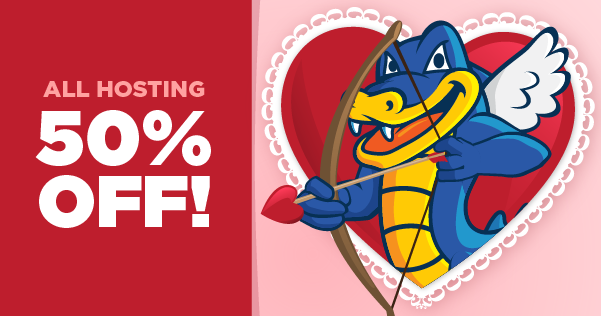 Grab this offer form Hostgator on Valentine’s Day and Mardi Gras Sales 50% Off New Hosting!!!!! Discounts work with all NEW hosting plans of Hostgator and you will get 50% offer. The sale will start at February 14th @ 12 am CST and this promotion will run upto February 14th @ 11.59pm CST.